Using the Zulu eLearning platform to provide contractor induction is simple even though there are hundreds of compliance features that come with the software which are required to ensure employers have all bases covered with respects to occupational health and safety. As you would expect we have plenty of customers that use our cloud based eLearning (LMS) solution for their contractor induction and management requirements. As a vendor we always want to show a unique aspect to how we make a difference in an extremely important industry. 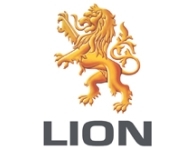 So we have chosen the brewing, wine food and dairy company Lion (formerly Lion Nathan) as a case study to share. Lion has numerous sites across Australia and NZ. Each site has a combination of contractors, staff and temporary staff visiting and working at each site. All organisations should provide their staff with evacuation and general OHS training irrespective of the size of the organization. Lion had that covered, just not online it was face to face which took Safety staff considerable time to achieve each day. Also, given the nature of the business there are numerous hazards and tasks that people must be familiarised with. Truck drivers need to know where and how they can load and offload their vehicles. General staff are required to know what the working from heights safety policy is and which areas contain hazardous chemicals. The list of training is quite significant. Sure any eLearning platform should be able to handle this. As well as testing people as to the knowledge that they have retained. Storing the training records for future use and locking out participants if they fail the quizzes too often. Where we have made our mark was helping our customer provide one platform for all types of staff and contractors, simplifying the registration process and then having a consistent approach to the induction training across multiple sites. The advantage of course is that once the generic OHS content and the Lion corporate training is complete a staff member or contractor only has to complete each site module which contains information specific to each site. This means time and cost savings across the board for Lion but most importantly their staff and contractors are safe in the knowledge that they have obtained through using one centralised and consistent induction training platform, Zulu eLearning.